Nothing better than a rich and creamy tomato Vodka Sauce! 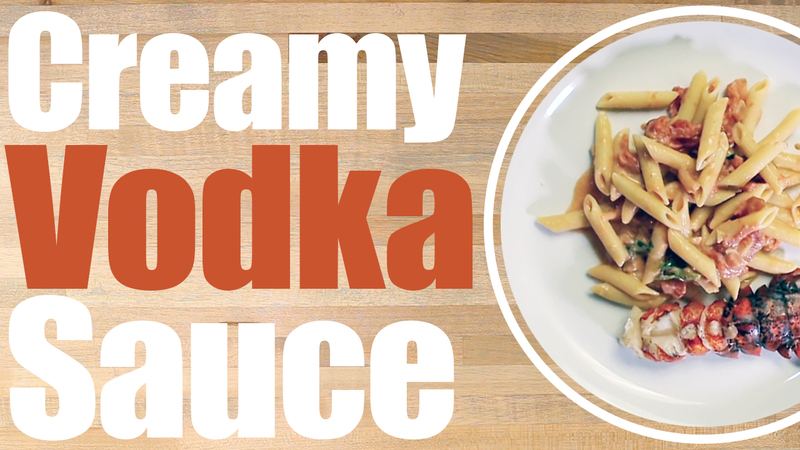 This easy vodka sauce recipe will have goodness in your mouth in no time! Start by hand crushing tomatoes. Mince shallots and garlic and tear basil by hand. In a large sauce pan melt butter. Then simmer Shallots, Garlic Red Pepper Flakes. Once Shallots are soft add Vodka and simmer on medium heat for 5 minutes. Add Tomatoes and simmer for an additional 5 minutes on low heat. Stir in heavy cream, Parmesan and basil and let thicken.